You probably didn't notice, but a new Kevin Spacey movie opened in theaters over the weekend. And it opened with a painful thud. Billionaire Boys Club quietly snuck its way into several theaters over the weekend and earned just $618 for the entirety of the Friday to Sunday frame. That makes it far and away the lowest opening of the disgraced actor's career, who was not long ago considered to be a unique and tremendous talent in the industry. How the mighty have fallen. Billionaire Boys Club was never going to be a big hit. It was released on VOD by Vertical Entertainment prior to making its way to theaters. VOD releases that also do a limited theatrical run are never big earners at the box office. But this is particularly terrible. The movie rolled out in eleven theaters across the U.S. in San Francisco Bay, Phoenix, Detroit, Minneapolis, St. Paul, New Orleans, Hartford, Miami, Los Angeles, Chicago, Cleveland and Sarasota. The movie, which is based on real-life events that occurred in the 1980s and centers on a group of wealthy boys in Los Angeles who establish a 'get-rich-quick' scam that turns deadly, averaged a measly $56 per location, which means roughly six people showed up to see it per location, when taking average ticket prices into account. That number is staggeringly low, especially considering that the movie boasts an impressive ensemble cast that also includes Ansel Elgort, Taron Egerton, Emma Roberts, Billie Lourd and Cary Elwes, with Elgort and Egerton earning top billing. Kevin Spacey was just a supporting player. Still, the sexual misconduct allegations made against Kevin Spacey in recent months have proved to be far too much to overcome. Spacey has been accused of various misconduct by men in both the U.S. and Europe, including Star Trek Discovery star Anthony Rapp. The allegations caused Netflix to promptly remove the actor from House of Cards, promoting Robin Wright to the series lead for the upcoming final season. The streaming service also canceled a Gore Vidal biopic that had already been filmed. Director Ridley Scott also, in a rather bold move, removed Spacey from last year's All the Money in the World just weeks before its scheduled release, replacing him with Christopher Plummer. It doesn't help matters any that the general consensus seems to be that Billionaire Boys Club is not a good movie. It currently boasts just one Fresh review on Rotten Tomatoes, against eight negative takes. Despite that, were it not for the controversy, one might have thought that billing this as some sort of Baby Driver reunion would have helped it to earn quite a bit more than it did over the weekend. This is without a doubt the symbolic nail in the coffin that was Kevin Spacey's career. This news comes to us courtesy of The Hollywood Reporter. 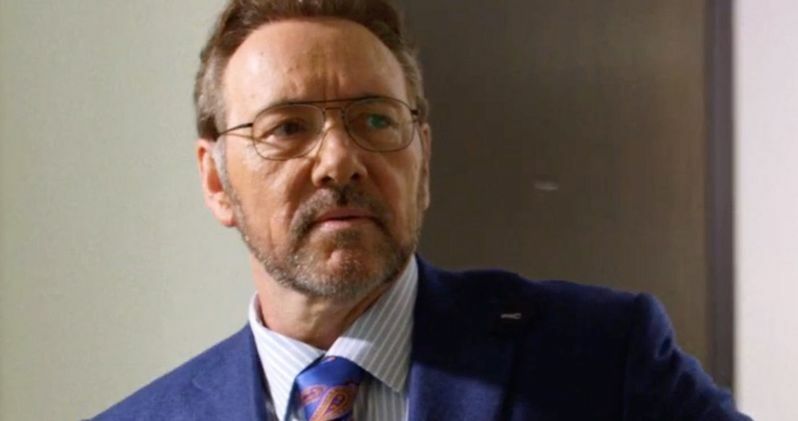 A New Kevin Spacey Movie Is Coming This Summer: Why?